This unique craft creates lifelike portraits based on your photo, permanently etched into the surface of the bronze, aluminum, brass,muntz metal, copper or stainless steel. Most photos can be displayed in half-tone images. 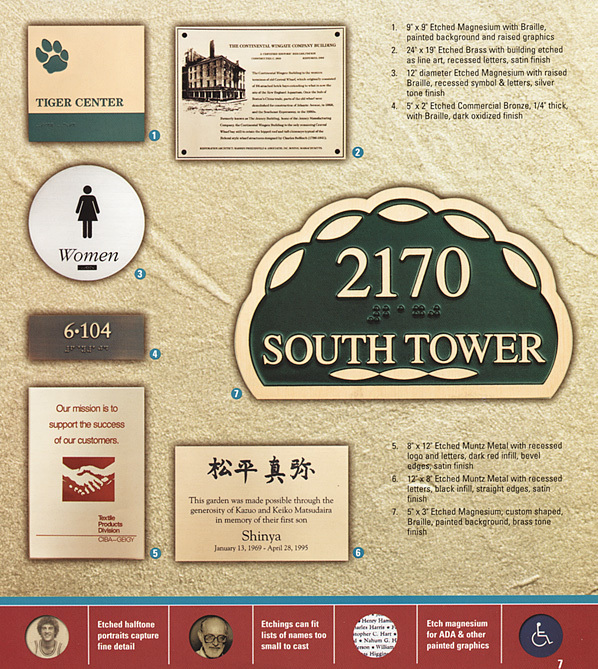 Images with fine detail and small lettering are ideal for etched plaques. Etched metal panels accommodate hundreds of names - with small copy that is crisp and legible. Braille lettering can be included on etched metal for ADA compliance.